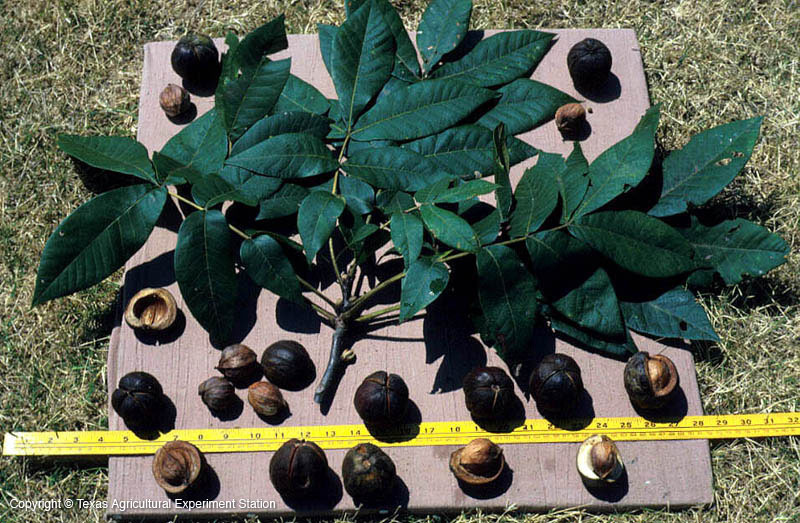 Mockernut hickory is the most commonly encountered hickory in eastern Texas, where it is found in the pine forests west to eastern Travis County. It grows on dry slopes but does best on rich well-drained bottomlands in areas with more than 45 inches annual rainfall. Its leaves are large, hairy, glandular, resinous, and fragrant. 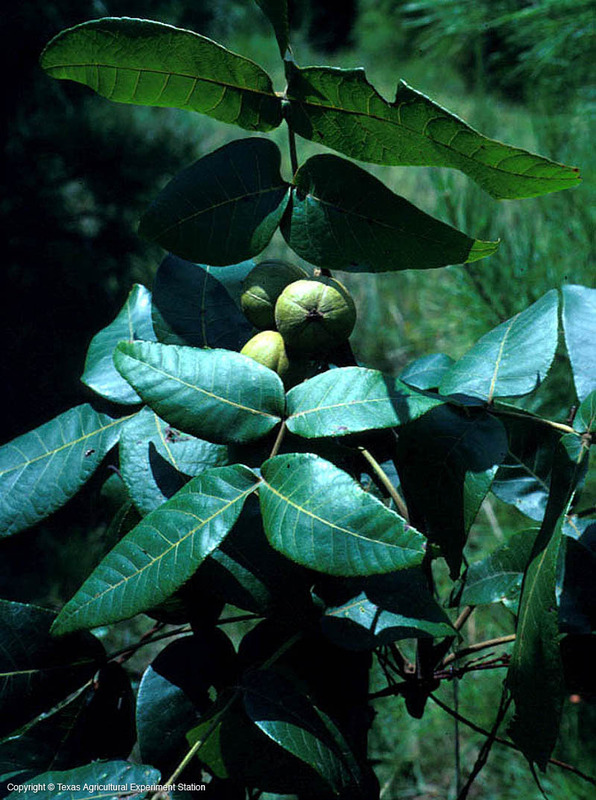 The common name refers to the difficulty in extracting the small, sweet nut from its thick shell. Flower Color: light green, females inconspicuous, males in catkins.